An Indian River runner tries to break a tackle in IR’s 44-28 win over Laurel during the Homecoming game on Friday, Oct. 19. 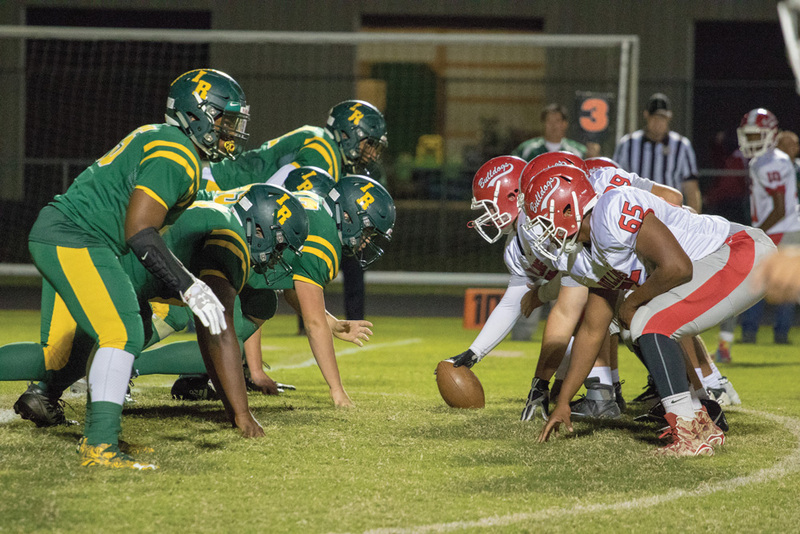 Recording a season-high 569 yards of total offense, the Indians’ beat down of the Bulldogs was impressive from start to finish, en route to a 44-28 win in front of the hometown faithful. Senior running back Reshawn Turner had a stellar game for the Indians, leading the way with 189 yards and two touchdowns. 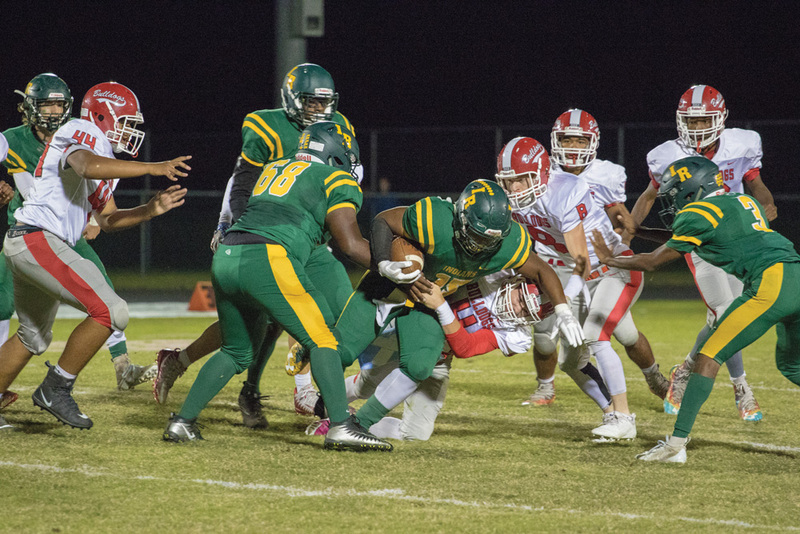 Juniors Jodiah Morris added 94 yards on 19 carries, with a touchdown, while classmate Ta’Jon Knight added 87 stripes on 12 totes. “Been telling ya every week — we’re getting better,” head coach Phil Townsend said after his team improved to 3-4 on the season. “The guys are starting to believe in themselves. They are getting better. They are starting to get comfortable. They are starting to understand the system. 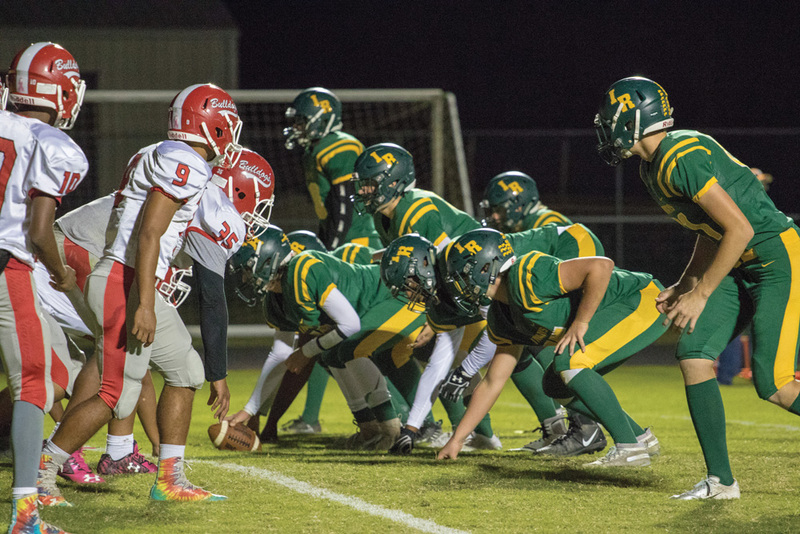 The Indians’ defense was equally impressive as their offensive counterparts, allowing just 349 total yards to the Bulldogs; but the most impressive stat was the three turnovers, which included a pair of interceptions and a fumble recovery. T.J. Moore led the defense with a team-high seven stops and one of the interceptions. 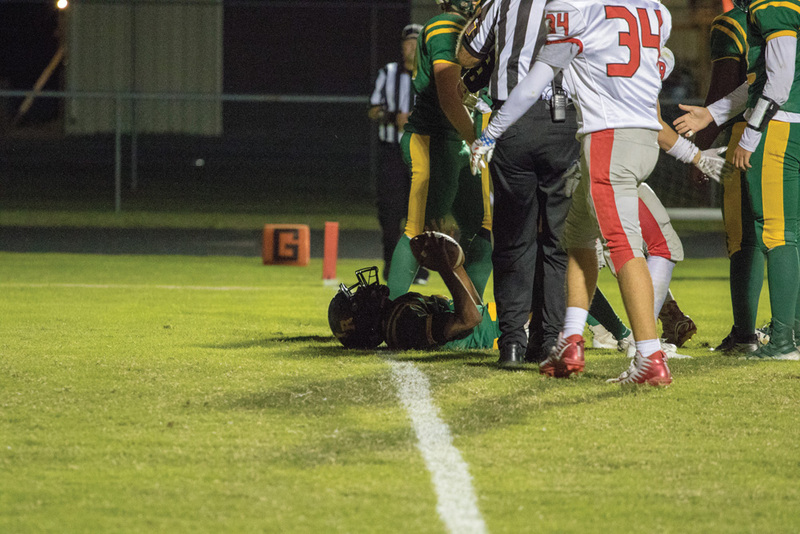 Ramond Turner and Jaquan Floyd each added six tackles to their teams’ effort, and Zach Schultz had five tackles, including one for a loss that resulted in a safety. R.J. Rybicki had the other interception, along with four tackles, while Jacob Grab recovered the fumble. 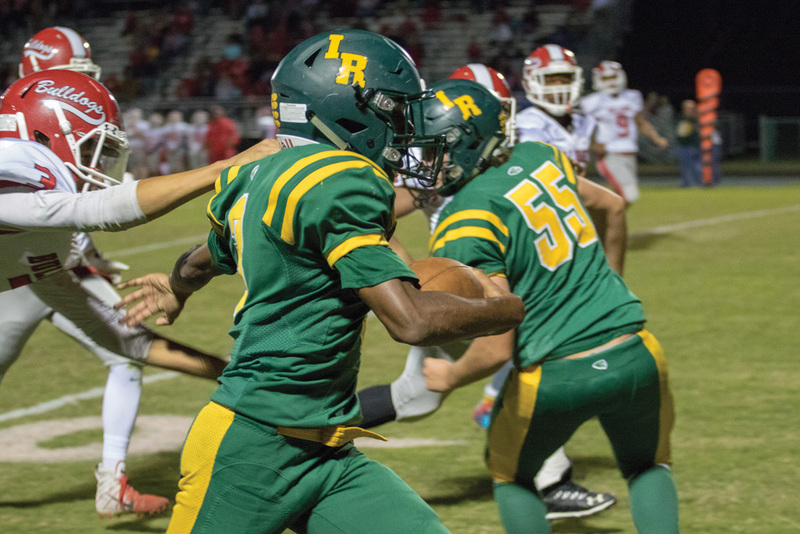 IR had jumped out to a big 23-0 lead early, thanks to play from both sides of the ball, as was the formula all night long. Reshawn Turner got the Indians on the board with a 9-yard run, and IR converted the 2-point conversion to go up 8-0. Schultz’s tackle of the Bulldogs’ running back in the end zone made it 10-0 just moments later. Sophomore quarterback Tyler Bowen plunged in from a yard out to make it 16-0, and then Morris increased the lead to 23-0 with 7:13 left in the first half, on his 10-yard touchdown run. Nicholas Angelo, who finished with three catches for 114 yards, made it 30-7 when Bowen hit him with a 76-yard catch-and-run touchdown pass just before halftime. The 30 first-half points for IR were the most points they had scored all season to that point, but they weren’t done. 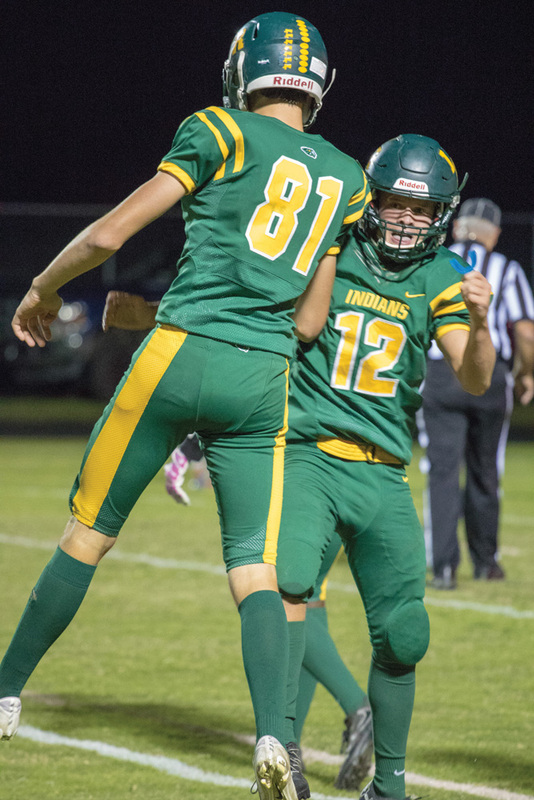 Bowen found Knight for the 16-yard TD pass, and Turner fought his way across the goal line from 3 yards out to end the Indians’ winning offensive effort against Laurel. Bowen finished the game with 5-for-10 passing for 157 yards and the pair of touchdowns. This week, the Indians will hit the road for a contest at Milford. Game time is 7 p.m. 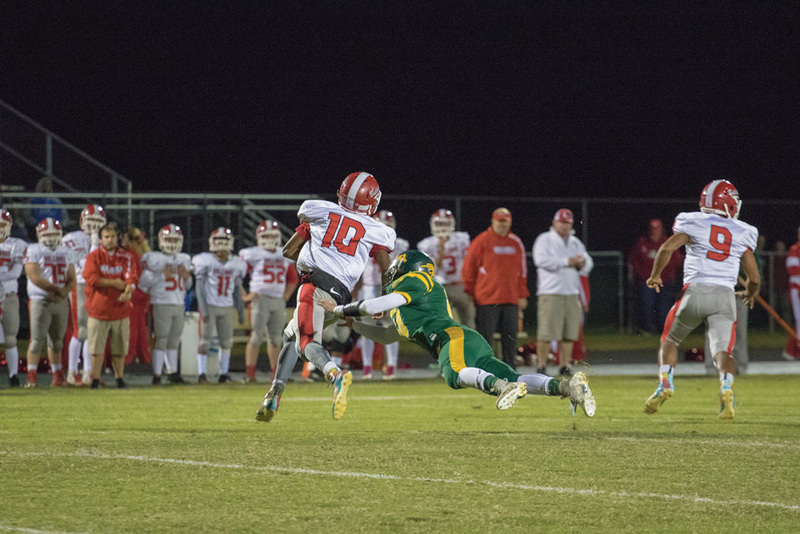 The Buccaneers come into the contest with a 4-3 overall mark after defeating Cape Henlopen last week, 38-0. It will be Milford’s Homecoming game.